It’s the final installment of our mega roundup of all to do with apples! This time we show you the quirkier apple finds. Apple bling? 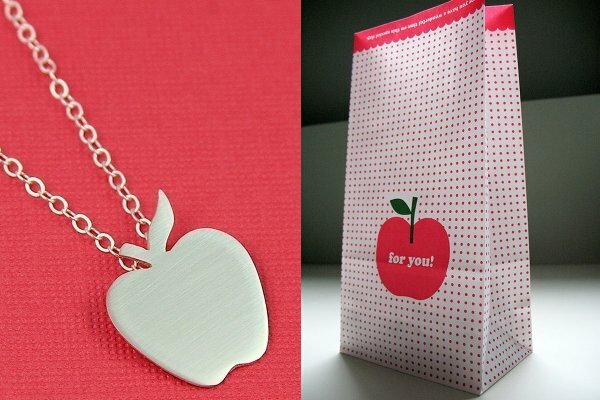 Yep, you can have it with this oh-so-lovely silver Red Delicious Apple Silhouette necklace (above) from Etsy’s An Original Jewelery. It’s US$45. And if you’re party planning or want to give a sweet little gift to someone, be sure to use these great For You Apple Gift Bags which are US$6 for a pack of twelve. Needing a nice glow in the room? 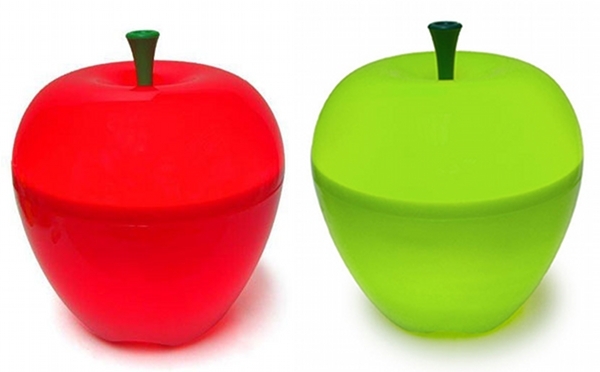 Get these lovely apple lamps in two sizes ($79.95 and $129.95) in red, white or green from Oranges and Lemons. I do love to throw in something more than a little quirky! 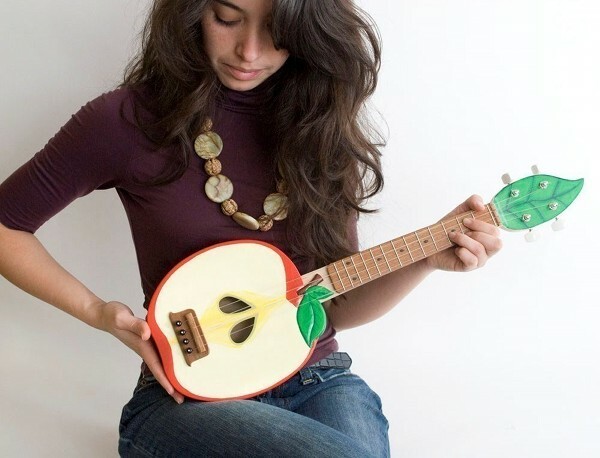 Have a look at this exquisite Apple Ukelele from Celentano Woodworks at Etsy. At US$395 it’s certainly not one to be thrashed around by the kids but such a fabulous curio is sure to remain in the family for generations. This is one for music lovers. Phew, that’s a whole lot of apple indulgence! Please share your apple finds in the comments section below and on Facebook and Twitter – we can’t wait to see what you come up with! Also be sure to check out parts one and two. I’ll end the post with a Candy Apple Red Kitchen Aid stand mixer; the perfect show pony to compliment your apple collection! 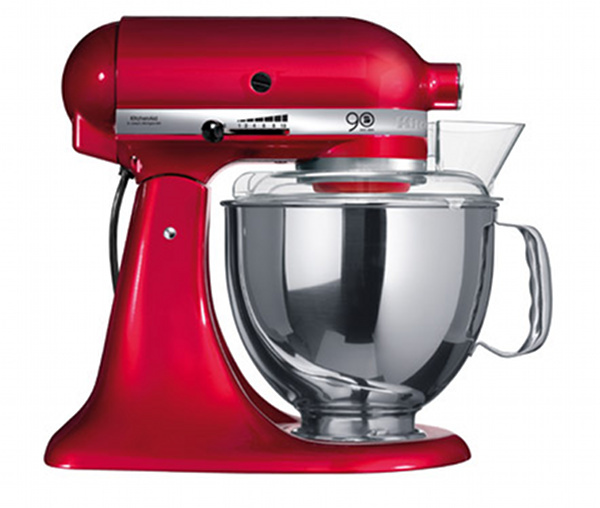 This special colour was made for Kitchen Aid’s 90th anniversary and can be purchased from Henrietta’s for $729.